Q: My healthcare facility wants to begin making multidisciplinary rounds. What does this entail? A: Multidisciplinary teams are comprised of healthcare team members from various specialty areas with complementary skills, expertise, and experience. It has been established that the utilization of multidisciplinary teams produces higher quality, patient-centered care. The process by its design should improve communication, collaboration, and collegiality among members of the healthcare team and the patient. The development of these teams began out of necessity as healthcare systems have become more complex. The multiple variables that contribute to patient outcomes require the input of multiple disciplines. Multidisciplinary patient rounds have become a staple in most organizations that provide care to the critically ill. In fact, the benefits of these teams are so well recognized that the World Health Organization, along with other national organizations, has developed care models and professional practice standards that use the multidisciplinary team as the basic foundation for care. An example of these teams at work can be seen in many ICUs. The team is comprised of the intensivist/physician, a pharmacist, nursing, respiratory therapy, social service and, if applicable, a family member or the patient. This team reviews the patient's diagnosis, presentation, and progression. Lab work, diagnostic findings, medications, and psychosocial concerns are discussed as a group. This is the perfect opportunity to discover changes in patient status and review the care plan and discharge planning. This activity may occur once a week or daily depending on the institution. In some facilities, residents and students from various disciplines will join as a learning opportunity. Each member of the team brings something different to the table. Typically, the healthcare provider will open with a description of the patient and his or her history. 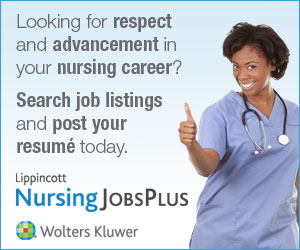 Nursing offers the bedside view regarding status, medications, pain, and psychosocial concerns. This opens the floor for pharmacy to share concerns regarding medication orders or usage; respiratory therapy will review therapy response and pulmonary care status; and physical therapy will discuss progress, response to therapy, and the need to advance. Social work utilizes all of this and the team may discuss the discharge plan, what the patient and family want, and any services for which they qualify. The patient and family may ask questions as the discussion progresses. The three key stakeholders in the team are the patient, the healthcare team members, and the organization. The patient benefits from improved outcomes, decreased length of stay, decreased ventilator days, and improved communication with all caregivers. Coordination of multiple services is essential to positive outcomes and even more so with complex care management situations. The use of a multidisciplinary team also empowers the patient and caregiver to have a voice in the patient's care. For healthcare providers, the benefits are varied. The team can allow providers to look strategically at patient care and outcomes because communication is in real-time and interactive. This allows for not only crisis intervention, but also the introduction of long-term planning and prevention. Multidisciplinary teams have been shown to improve professional satisfaction, improve providers' knowledge base, and encourage innovative thinking among professionals. For the healthcare organization, the benefits are financial in nature. The improved care quality produces better outcomes, shorter length of stay, reduced healthcare expenditures, and decreased burdens on staffing and bed management. Improved patient satisfaction and community standing are additional benefits. The keys to success for a team of this nature are open-minded learning, communication, and mutual respect for what each discipline brings to the table. Unfortunately, some organizations merely give lip service to this process, using forms and formats that document processes and meet the requirements but aren't truly interactive in nature. Although not always feasible, face-to-face interaction is preferred; however, our tech-savvy world now allows for crucial interactions to be achieved electronically, as well. Everybody wins in a multidisciplinary team environment. The care is patient-centered, more efficient, and more cost-effective, and both patient and professional satisfaction are improved.